Comfy car seats go a long way to helping littles ones rest peacefully. Drive prepared and the whole ride will be much smoother. Make sure everyone has their own headsets for your next roadtrip. Is baby getting sleepy? We hope so! Here’s our pick of the top 50 tried n’ true road trip tips, culled from families who’ve logged enough road miles to circumnavigate the globe. Whether you’re driving to the local mall or across the sands to Timbuktu, there’s bound to be a tip for soothing the kids that you haven’t thought of! 1. Make sure your vehicle or rental car gets a thorough pre-journey inspection. 2. Pack a spare tire and repair kit, LED flashlight, candles, safety matches, a waterproof tarp, blankets, and a gallon of water in case of emergencies. 3. Copy and carry all drivers’ licenses, registration, insurance policy papers and car keys, as well as pet health forms and kids’ photo IDs. 4. If you’re renting a car, don’t pull out of the lot until you’ve checked the owner’s manual, spare tire, tools, radio/CD player, headlights, windshield wipers, A/C, GPS and obtained a 24/7 contact number. 5. Visit NHTSA Parents Central for the latest safety information and best practices on keeping kids safe in the car on highway drives. 6. Contact the local tourist information office or your automobile club for free maps and destination information. Use www.myfamilytravels.com and other Internet resources to find local festivals and special events en route. 7. Ask kids 3+ to help with trip planning by sharing destination brochures or photos from your iPad with them. 8. Select one activity per day to please each child, note hours of operation, then plan ahead. 9. Long drives with infants are easiest on the whole family if you stick to flat, well-marked, well-lit highways, where the driver can breathe a little easier. 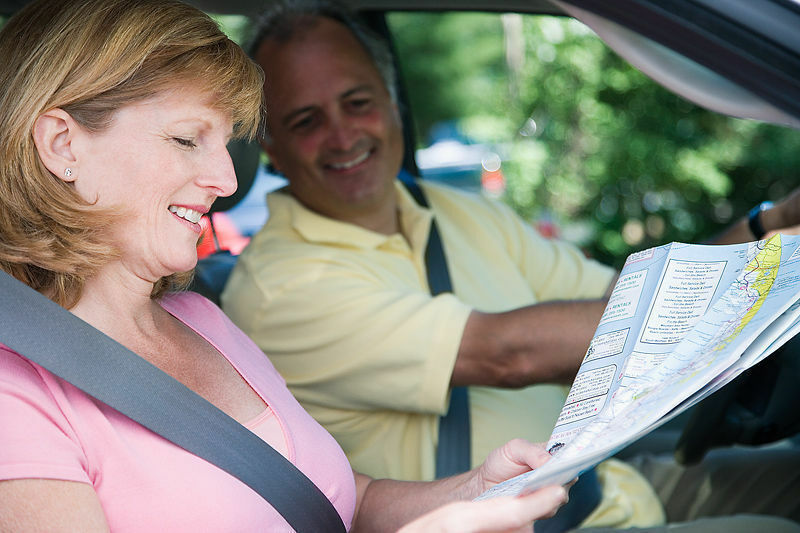 10. Review your route and explain if there will be stressful driving zones ahead. Devise a signal in advance so children will know immediately when you need tranquility to navigate tough intersections or narrow winding roads. 11. When the kids learn to appreciate scenery, call 800/4-BYWAYS or visit National Scenic Byways for a list of federally-designated National Scenic Byways. 12. Set realistic driving goals; end each day at a motel or hotel with pool for off-road fun. 14. Never let children under 11 ride in the front seat of a car equipped with passenger-side air bags. 15. Lead by example; studies show only 24% of passengers under 14 wear a seat belt when the driver doesn’t. 16. Learn how to properly use and install your child safety seat to maximize its effectiveness. 18. 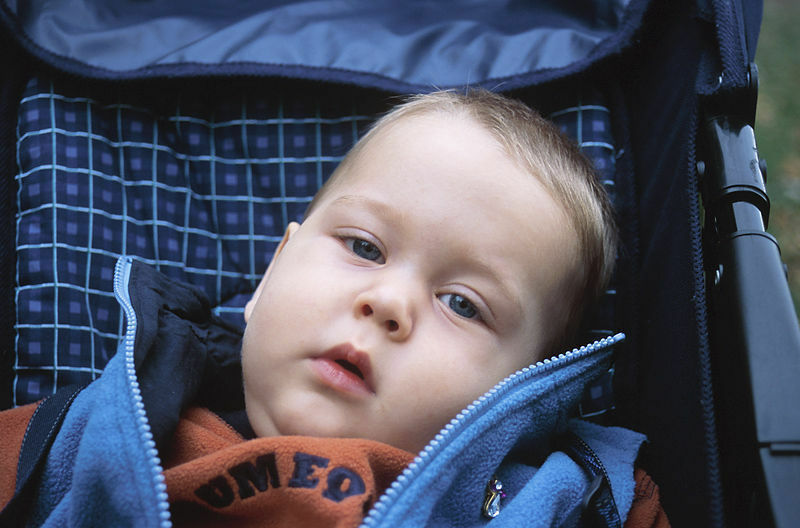 Shell, Allstate Insurance, AAA, Hertz and many other vendors offer free carseat and car safety information. Read it. 19. Keep a trash bag and some zip-loc bags in the car; the former for car sickness and garbage, the latter for preserving toys, souvenirs and creating new snack packs. 20. Keep a small First Aid kit, tissues and wipes in the glove compartment. Spare toilet paper, liquid anti-bacterial soap and paper towels can be a life-saver in funky public restrooms. 21. Provide rolls of masking tape so siblings can stake out their backseat and hotel room territory. 22. Print out Family Travel Forum’s How-To Pamphlet of the most popular, classic car games so you can all play. 23. Keep a booklight handy so children can read or play after dark, along with spare batteries and an overnight bag; all the other luggage gets buried so you don’t have to reload the trunk or roof rack after every stop. 24. Plan to begin long car drives after a good night’s sleep and breakfast. Some parents swear by The Early Start; in our experience, this only works if you load the little ones into the car without waking them. Otherwise, throwing off children’s sleep schedules is sure to backfire! 25. Imitate routines from home. If you eat lunch at the customary time, your child is much more likely to take her usual nap. 26. Plan your stops: as often as needed to nurse; every 3 hours to check diapers (overnight diapers help); every 2 hours to stretch. 28. Long periods of confinement and constant car motion will make most under-3s quite sleepy. Be prepared for restless babies at night! 29. Have beverages readily available but don’t let infants drink too much at once. OJ makes many little ones carsick. 30. Bring plenty of dry snacks and finger foods: Cheerios, pretzels, bagels, cheese slices, dried fruit, lunch meat ‘roll-ups’. 31. Have a folding nylon cooler and compact knife/fork/spoon sets ready so each passenger can have a movable feast. Buy enough perishables for one day only — it’s impossible to keep things cold overnight. 32. Take meal breaks in small towns, so the kids can enjoy a playground or local park. 33. Keep baby amused with plastic mirrors, cloth books, jangly keys, and some soft cuddlies. Toy bars connected to her waist guard on the car seat really make time fly. Consider bringing a second toy bar for her car seat to distract her on the ride home. 34. Bring favorite music for little ones, with a lyric sheet so you can sing along. Amazon.com has many suggestions. 35. Bring story tapes or CDs or podcasts. Classic children’s literature read by professional actors is available at the local library. Films-on-tape/CD are condensed soundtracks from the movie, sold with a large-text picture book so kids can follow the story. 36. Plan some games for the over-3s: a Highway Hunt for objects you’ve pre-marked on index cards or printed out from clip art; a poetry contest with words from billboards; a raindrop race to see which drop on which window falls fastest; or maybe a spot-the-colors contest with pre-readers. The variety of age-old games is endless; draw on your memory or on dozens of game books (Rand McNally’s are excellent) to create more. 37. Keep some tricks up your sleeve: cool placemats, colored Band-Aids, stickers, crayon sets, and fast-food packaging provide instant distraction when you really need it. 39. For toddlers, consider Crayola’s almost mess-free, washable markers and coated paper. Auto Bingo, widely available in toy stores, is our favorite for pre-readers. 40. Felt Tales and other great family-tested travel toys and games are available from Amazon.com. 41. Kids 4-8 like Magnadoodle and Etch-a-Sketch. Wonderboard makes magnetic game pieces and abstract shapes that stick on their own metal board. 42. The “Loom Loop Book” and other interactive crafts guides from Klutz provide hours of fun for kids 8+; Brain Quest card games keep kids 6+ entertained. 43. Ask older children to pack their own sound systems, a headset and music. Would they like to burn a CD of their favorite tunes, program their iPod or phone for everyone to share on the road? 44. Showing a movie on a portable DVD player, laptop or iPad is an expensive but unbeatable way to entertain kids. 45. Keep the mood light; stop bad moments quickly before they become blow-outs. 46. Distract babies by suspending a clothesline or string with clips, hung with soft toys and baby pictures, behind the driver’s seat. 47. Make a grab bag of small wrapped toys. Let kids select one when squabbles and complaints begin; hand out treats in stages. 49. Reward patience and good behavior. Some parents dole out one quarter to children 5+ for each successful driving period. Some try the reverse; they start with a quarter roll and deduct one for each squabble. 50. Start a Trip Log. Pick up souvenir ticket stubs, menus, autographs, dried leaves or brochures and have your journal keeper note each day’s special stops. Let little ones use a Polaroid Snap or Fujifilm Instax instant camera which dispenses print photos as you shoot. After all, this trip is bound to be unforgettable. As well-meaning, health-conscious parents, we rarely allowed our children candy when they were very young. But we made an exception to that rule when we traveled, and pulled out the life savers, lollipops, and gum (sugarless of course) for the car. The goodies amused the kids and definitely sweetened the ride. They began to look forward to car rides as treats. We also far preferred story tapes that the entire family could enjoy together, rather than videos which the children watched by themselves. Story tapes allow the driver to be amused and entertained along with the troops. The website Audible.com has a selection of stories for children and families and it allows you to preview a story to see if you like the reader. Then for a fee you can download the story onto CDs to play in the car. Story tapes allow the driver to be amused and entertained along with the troops. The website Audible.com has a selection of stories for children and families and it allows you to preview a story to see if you like the reader.